A happy and delicious Monday to you. 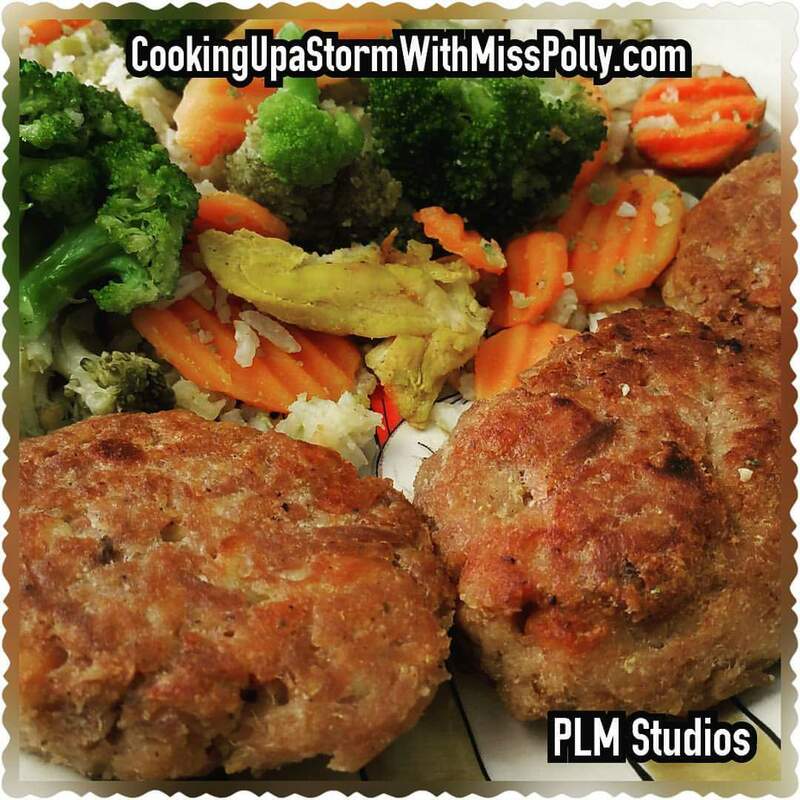 My Tuna Patties were so good last night seasoned with my friend Saverio Lo Presti’s fantastic fish seasoning from Ariosto. It makes your fish dishes incredible due to the combination of so, Rosemary, Laurel, Garlic, Juniper, Sage, Parsley and Oregano. 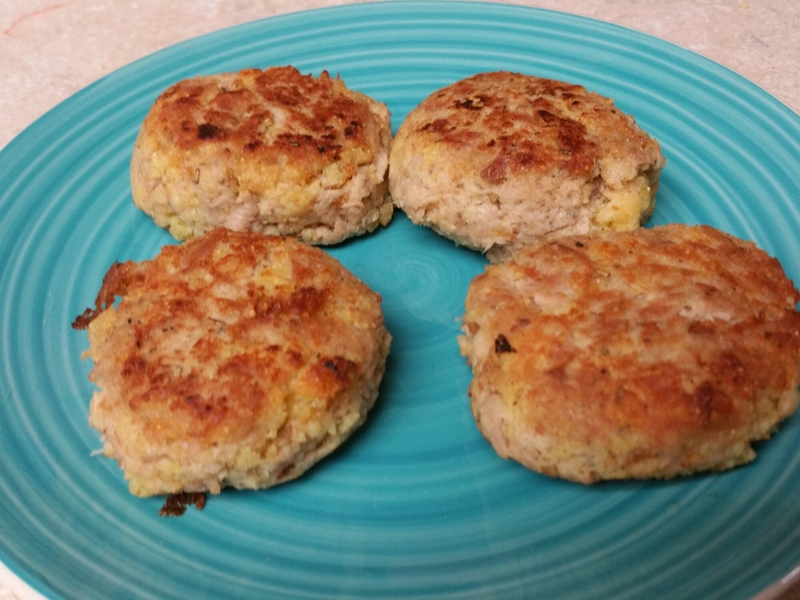 I used a binder of 1/4 cup egg substitute, one 5 Oz can of drained tuna in water, about 1/2 cup or dried homemade cornbread crumbs, garlic powder to your taste, and mixed them together in 4 small patties. I then fried them in a small amount of canola oil. 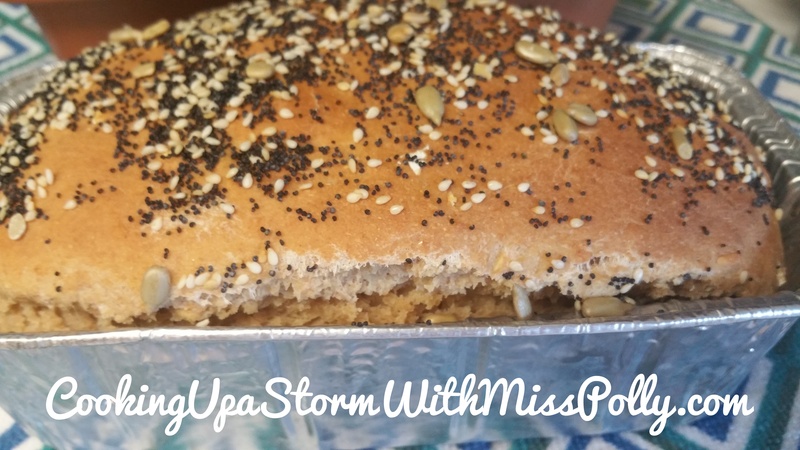 These are wonderful with a dash of fresh lemon to garnish so your guest can add as much lemon as they’d like. 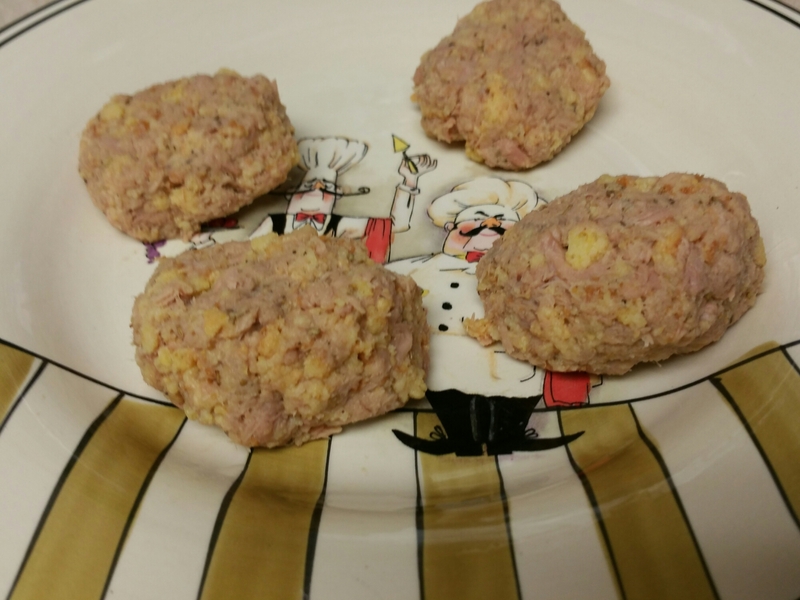 These are great on their own or with your favorite tartar sauce or even ketchup like my momma used to make. 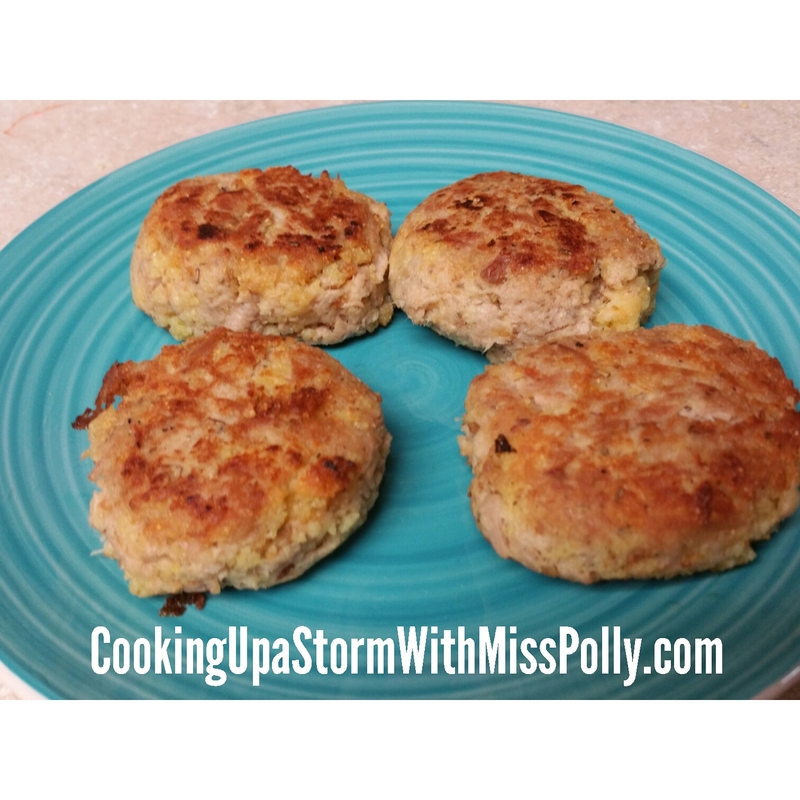 Mom made her tuna patties using Ritz Cracker Crumbs, which are awesome too. Do whichever you like because they’re both good. Variation 1: Leave the Ariosto Fish Seasoning out and instead put in about a teaspoon of freshly grated lemon zest. Variation 2: Try other flaked fish on place of the tuna like tilapia, or even lump crab meat, adjusting the seasonings accordingly. 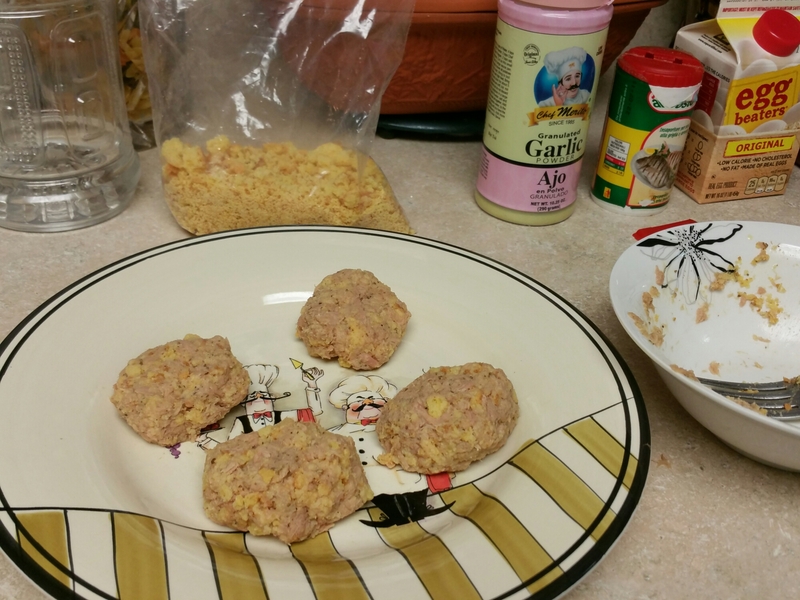 Variation 3: Add about 1/4 cup of Heart-Healthy Bisquick in place of the corn bread crumbs or bread crumbs or crackers.